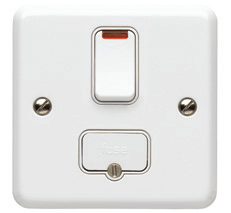 A metal, surface and ﬂush mounting range of wiring devices. Frontplates have a maximum 9mm profile and subtle 7mm radius rounded corners. 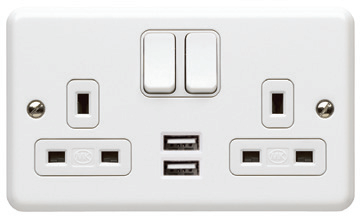 Cable connections must be upward facing with easy to identify white markings on a dark background, grouped in a straight line with captive terminal screws for ease of installation. 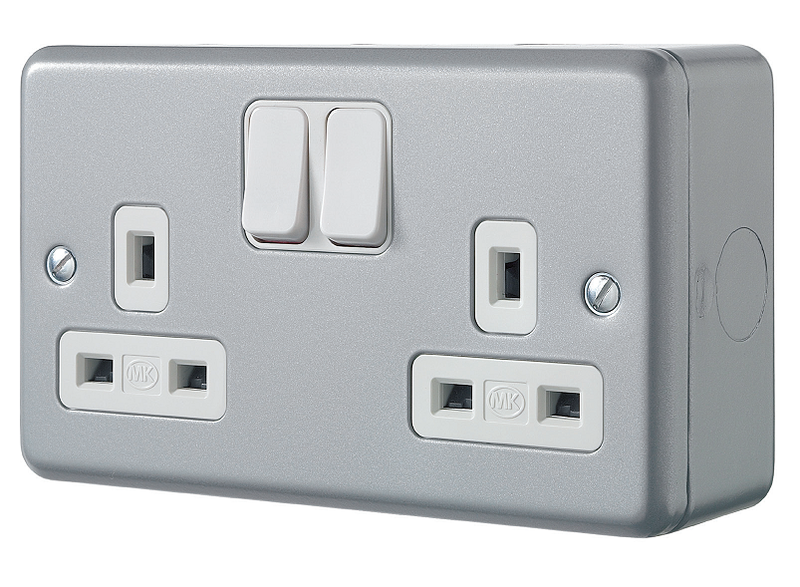 All sockets have a 3 pin operated shutter safety mechanism and double pole switching, with the contacts designed such that the neutral makes before and breaks after the live pole for improved safety. 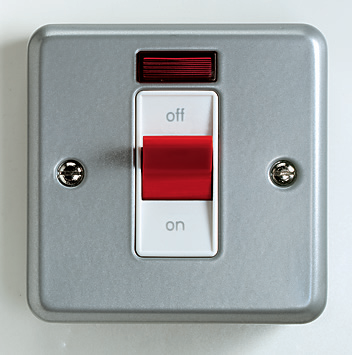 Switches to have a minimum 3mm contact gap with a positive ’click’ to denote a successful operation. All MK products are made to stand up to the wear and tear of everyday use, but in some areas, you need them to be even tougher. That’s why the Metalclad Plus™ range of surface mounted accessories is ideal for factories, workshops, garages, and sheds. Made from heavy gauge steel they’re tough and impact resistant and they look good too. 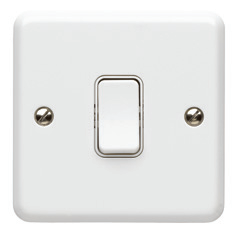 There is a wide selection of surface mounted products in the range including switched sockets with outboard rockers and light switches with wide rockers, both very useful when wearing gloves. 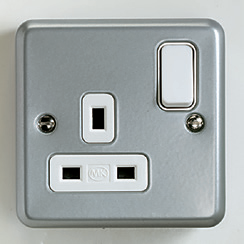 An RCD protected socket is also available which is essential when operating power tools. Metalclad Plus™ is ideal for factories, workshops, garages and sheds. White Metalclad Plus™ is ideal for Schools and Sports Halls.